We are proud to announce the launch of the NSAR’s NEW Skills Backbone system. The new system provides a fresh and intuitive user experience and will increase efficiency in managing Provider and NSAR daily QA activities. A digital platform that rail industry employers can use to connect with young people who may not have considered careers in rail. 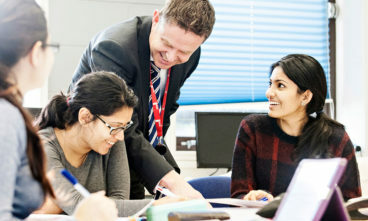 Using video, Skills Live works to address the skills shortage by enabling employers to showcase a range of job roles in rail and supporting employers by promoting greater diversity in the workplace. Finding it difficult to manage staff training records? Need a way to quickly determine your workforce’s level of competency? Look no further than SkillsID! 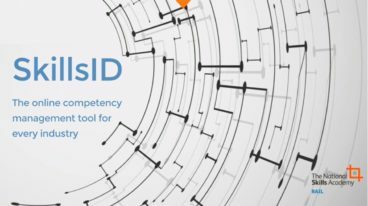 The online platform delivers a centralised and secure online record of each individual’s competencies, qualifications and training plans which is easily accessible to both the employer and the individual on a computer, phone or tablet. NSAR is now enabling employers in digital industries, freight and rail to take responsibility for the quality of apprenticeship assessments. The three employer-led quality assurance boards ensure that apprenticeships deliver what employers need. NSAR helps its members globally by working with the national governments, industrial partners and blue chip organisations providing a range of skills related services targeted at the promotion and development of technical and vocational skills education and training in support of national industrial strategies. like-minded entities, sharing specialist knowledge and expertise in all aspects of rail focused on delivery and maintenance of UK rail. We are dedicated and passionate about ensuring that high quality, cost effective training is available and being delivered to meet your needs of the industry.